In the midst of celebrating the historic victory of Super bowl LI from NRG Stadium in Houston back in February, New England Patriots quarterback Tom Brady was faced with an odd and mysterious dilemma. 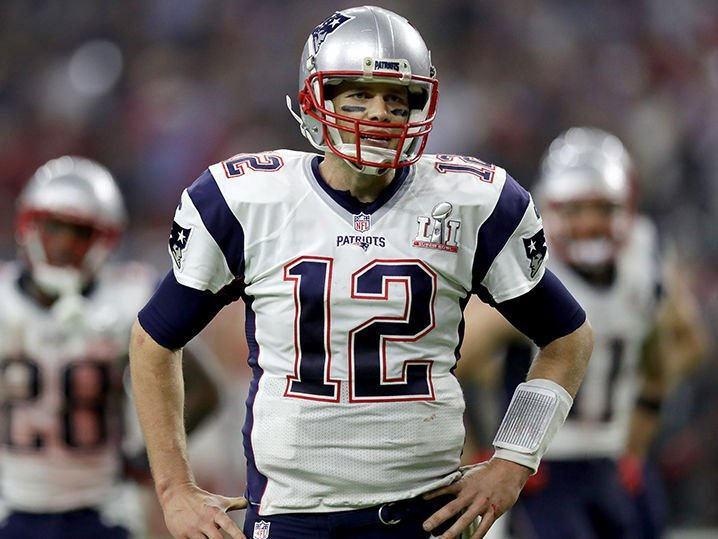 The jersey Brady wore during the game was stolen from the locker room following the game. At last, Brady and Patriots nation can take a collective sigh of relief, as Brady’s jersey has been recovered and returned to Robert Kraft, owner of the Patriots organization, after nearly two months of searching. After an extensive investigation led by the FBI and Mexican authorities, the jersey was retrieved on foreign soil in Mexico. The thief was identified as an accredited member of the international media, by the name of Martin Mauricio Ortega. A Mexican journalist who was formerly the director of one of the Mexican Editorial Organization’s newspapers, Diario La Prensa. Since the recovery of Brady’s jersey, Ortega has resigned from his position with the newspaper. The Mexican Editorial Organization accepted Ortega’s resignation, and said they had no knowledge of Ortega’s involvement in this incident. Video footage surfaced from Fox revealing Ortega going into the locker room, taking Brady’s jersey from his bag, and putting it in a black plastic bag as he left the locker room. Ortega has a history of stealing equipment from players in Super Bowls. In addition to swiping Brady’s jersey in this past Super Bowl, he managed to get away with stealing Brady’s jersey from Super Bowl XLIX. It doesn’t stop with Brady, Ortega also allegedly stole the helmet worn by MVP of Super Bowl 50, Denver Broncos defensive end Von Miller. Both Miller’s helmet and Brady’s other Super Bowl jersey were recovered with the recently stolen Brady jersey. Following the Super Bowl victory when Brady returned to the locker room after the celebration on the field, he noticed his jersey was missing immediately. A disappointed Brady spoke on the theft of his jersey the following day. He touched on the frustrating nature of the situation, but stated he couldn’t be all that upset given what he just accomplished. “It’s unfortunate, because that’s a nice piece of memorabilia. If it shows up on eBay or something, somebody let me know. I’ll try to track that down, those are pretty special ones to keep. But what can you do? I’ll take the ring. That’s good enough for me,” Brady said. Ortega proved to have extreme value in Brady’s memorabilia and be a huge supporter of his, as he did not attempt to sell his jerseys. Following the theft, Houston police assigned a value of $500,000 to the jersey. Had it been a jersey worn by Brady for a regular season game, sports auctioneer Ken Goldin said it would’ve been sold on the open market at the $50,000 range, accentuating the heightened value of it being worn in the Super Bowl. Brady released a statement reacting to the recovery of his two jerseys about a week ago, thanking those involved and making it clear he’s very much looking forward to get these prized items back. “I am happy my jerseys from SB XLIX and SB LI have been recovered, and I want to thank all of the law enforcement agencies involved. I know they worked hard on this case—and it is very much appreciated. Hopefully when I get the jerseys back I can make something very positive come from this experience,” said Brady. Ortega will now face severe consequences in light of his actions, as Houston police have classified the theft of Brady’s jersey from Super Bowl LI as a first-degree felony.